Our principal, Peter Speakman has many years experience as a lawyer, and is certified by the Law Institute of Victoria as an Accredited Business Law Specialist. Peter established the firm in the 1970s and over the years has provided a wealth of legal services to individuals, small to large businesses (including large clothing and cosmetics manufacturers), local government and not for profit organisations. He has extensive litigation experience in all jurisdictions, but of course much prefers to resolve matters via alternative dispute resolution where appropriate. As an Accredited Business Law Specialist Peter is well equipped to handle all business related matters from Director and Shareholder disputes to negotiation of agreements and everything in between. He has plenty of experience in Intellectual Property matters, including trade marks, copyright and confidential information. 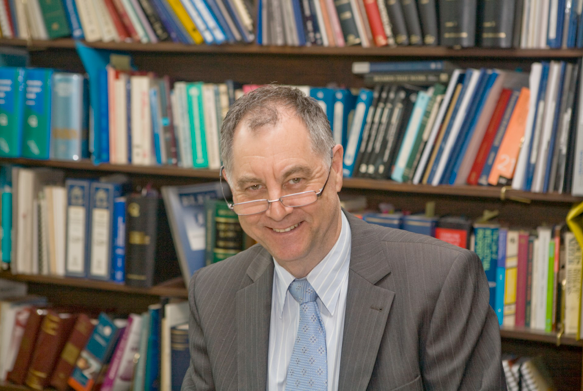 Peter has a vast expertise in Property Law, including Adverse Possession, Boundary and Fencing Disputes, General Law Land, Easements and Roads. He has also had a great deal of experience in Commercial Leases and all aspects of Property Law. Peter is very knowledgeable in the area of Wills and Estates, including advising high wealth individuals in relation to estate planning, and litigation. Peter has many years experience in Family Law matters and can assist in relation to all aspects of Family Law. Peter is currently on the board of Prasad Australia, a not-for-profit organization committed to improving the quality of life of economically disadvantaged people around the world. Peter enjoys good wine, good food, good company, travelling and the odd game of golf. He has recently joined the local gym and is an enthusiastic gardener.